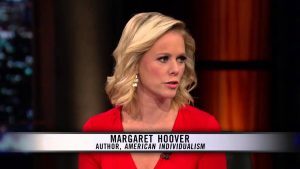 Margaret Hoover, a great granddaughter of Pres. Herbert Hoover, has renewed the legacy of William Buckley’s “Firing Line” TV franchise on PBS. Unlike Buckley, however, her hosting style is to politely question and discuss issues rather than to aggressively debate guests with opposing political leanings. 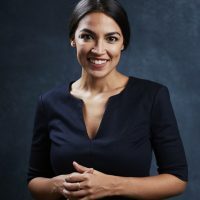 She describes herself as “center-right,” and as a panelist in a recent episode of “Real Time with Bill Maher” on HBO, revealed herself as firmly in the camp of anti-Trump conservatives. Their discussion on Israel and Palestine begins a little past 18 and a half minutes of this 27-minute video recording online.